Helen War, also known as Helly Hoops, is a professional hoopdancer based in Melbourne, Australia. A hoopdance based on the love of flow. Musicality. Listening. A captivating dancer bringing great energy and power to the stage. Cultivated over years of practice, years of exploring. 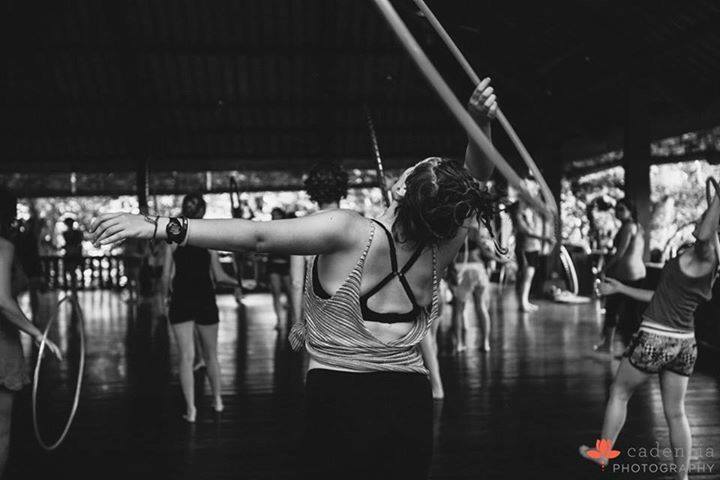 Currently in her second year of teaching beginner and intermediate courses for Hoop Sparx, she was selected to be on the 2015 Hoop Troupe and performed onstage at Electric Forest Festival in the US, then Earthcore and Subsonic music festivals. Most recently she performed at Tanglewood festival for New Year’s Eve 2017. She was a roving performer at Psyfari festival in NSW, Australia; and went on to England to perform and teach workshops at Southwest Hoop convention. With over 250,000 views on her Facebook page videos, this glitch hooper throws down unlike any other, tossing hoops into fingertip balances and defining a unique, eye-catching, smooth, memorable show. 2017 classes in Preston and St Kilda coming soon! See here for details. For performance bookings and one-on-one classes, contact helenwar.is@gmail.com. Helen also MC’s events and thrives with a microphone. Grab her, and put her on a stage. Check out her youtube channel. Join the community on her facebook page.